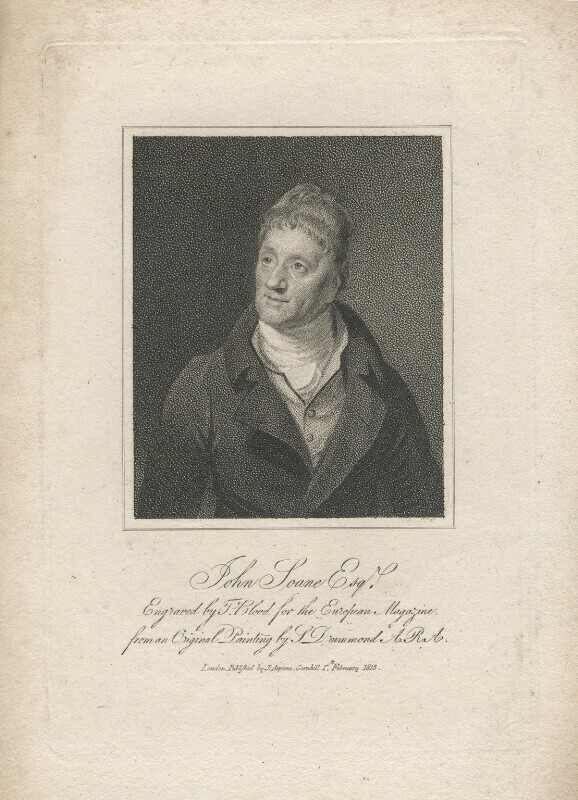 Sir John Soane (1753-1837), Architect. Sitter in 7 portraits. James Asperne (1757-1820), Bookseller and proprietor of the 'European Magazine'. Artist associated with 42 portraits, Sitter in 1 portrait. Thomas Blood (1777-1850), Engraver. Artist associated with 25 portraits. Samuel Drummond (1765-1844), Portrait and history painter. Artist associated with 58 portraits, Sitter in 1 portrait.